With Volkswagen's latest concept reveal, the auto world's attention is now spotlighted on a lightweight, two-wheeled electric scooter. Volkswagen's E-Scooter concept was revealed last week at the Shanghai Auto Show, rivalling scooters already offered by Smart and MINI. Weighing in at 44 pounds, the VW E-Scooter has a 350W electric engine powered by a nickel-metal-hydride battery which is removable for easy, at-home charging. The scooter has a 25-mile range with a 30mph top speed, clearly an automotive product aimed at large urban markets such as China. Volkswagen has not committed to how exactly the E-Scooter will be marketed. Besides being sold directly to consumers, the E-Scooter has the potential for a 'bike-sharing' program where they will be rented out at high-traffic transportation hubs. The testing phase is tentatively scheduled for 2012 and will take place exclusively in China. While much of the auto world has been glued to the events happening at the simultaneous auto shows in New York City and Shanghai, another important auto industry event took place in a lesser known venue: Moab, Utah. The annual Jeep Easter Safari Event is a gathering of thousands of die-hard Jeep fans and off-road auto aficionados for a week of America's best trails and Jeep customized eye-candy. The event is the auto-equivalent to a music festival, with all the hottest Jeep acts that have been customized by Mopar. To see all of the vehicles and get more detailed information visit the official Mopar site. Our favorite out of the collection is the Jeep Wrangler Blue Crush. 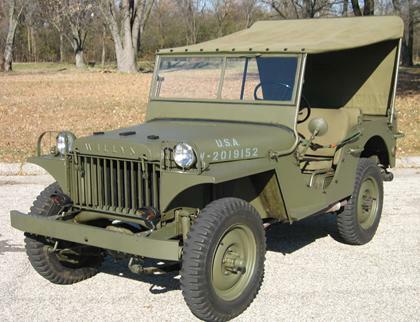 Which 'Moparized' Jeep is your favorite? Janis Joplin did it in 1971 and now it's being done again: A musical homage to the iconic Merecedes-Benz brand. The song's world debut live performance took place during the Mercedes-Benz press conference at the 2011 Shanghai Auto Show. The song and video are now both available for purchase on iTunes. What did you think of the song? Our favorite lyric is "If this is what life is all about then tell me, then put me in the driver's seat." 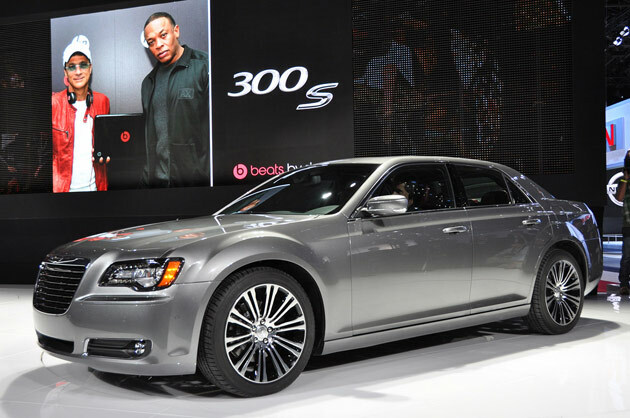 Chrysler has recruited Eminem's mentor Dr. Dre to take the 2012 300 S to the next level of luxury. Beats by Dr. Dre, a new studio-quality audio system, is the result of the Chrysler partnership and the latest addition to the new 300 model. 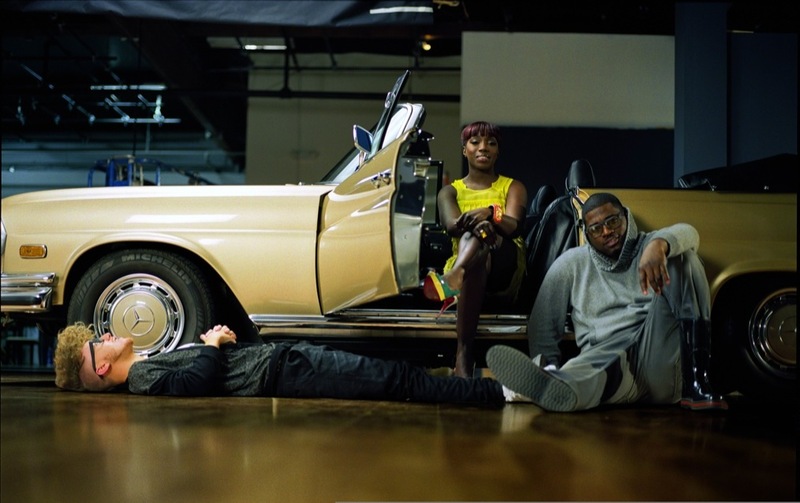 The collaboration of music producer Dre, Interscope chairman Jimmy Iovine and a team of Chrysler engineers is what it took to make the 'Beats' audio system a reality. This exclusive partnership is some of the most exciting news to come out of the Chrysler portion of the 2011 New York Auto Show where it was announced on Wednesday. Chrysler sees this as a way to raise the overall bar for car audio systems. At the auto show, Interscope's Iovine spoke of the 'Beats' system finally reconciling vehicle audio technology with the way that music should be listened to for full enjoyment. The 2012 300 S will be in dealerships this fall. Dr. Dre will also be featured in upcoming "Imported From Detroit" Chrysler commercials. Volkswagen is known for consistently upgrading its brand and recharging old favorites with new styles. And now VW has given one of its most well-known and well-loved cars a sleek, more masculine re-design. The new bug may be bigger than its predecessor but its fuel economy is improved by 10% and comes available with 3 types of engines: 2.5 liter/5 cylinder gas engine, 2 liter turbocharged gas engine or a 2 liter diesel engine. Volkswagen, not forgetting to add fun features to its most cheerful and female-friendly car, has added a panoramic sunroof and a variety of adhesive wraps that will reflect the drivers' personality and original style. The much anticipated 2012 Volkswagen Beetle had a global-wide release that featured MTV World Stage events in Berlin and New York City. 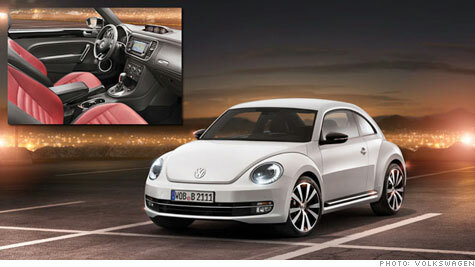 Stay tuned to GRAutoBlog for details on when the new Beetle will be released to dealerships! The iconic Volkswagen Microbus design has received an automotive-design facelift, and then some. "Car of the future" may be an overused car-cliche, but this VW concept may truly be just that. Unveiled at the Geneva Auto Show, the 'Bulli Bus' is a concept that Volkswagen-devotees are hoping will actually come into fruition. If Volkswagen sees this model through to production, the VW van will be popular with both the environmentally-conscious and techie crowds thanks to its electric-engine and tablet-friendly capabilities. The sporty and stylish Bulli is equipped with an 85 kilowatt electric motor that will run an estimated 90 miles before needing to be recharged. It also takes tech-savvy design to a new level with all its key controls integrated into an iPad interface. What do you think of this concept car and the direction Volkswagen is heading from a sustainable standpoint, as well as, the integration of tablet technologies within its autos? The 2011 Volvo S60 has done it again: receiving a prestigious place on the Ward's Autoworld 10 Best Interiors list. This comes as a particularly satisfying follow-up to the Volvo S60's placement on Ward's 10 Best Engines list for its 300-hp T6 engine. The Volvo S60's race-track inspired interior hints at forward progression and movement, even when the car is in park. The award was judged by Ward's Autoworld editors and utilized the same method as the 10 Best Engines list. To read more about the award and to view video reviews of the cars' interiors, visit www.wardsauto.com. Here are two great things we here at GRAutoBlog can get behind: supporting our troops and listening to great music. You can do both thanks to Dodge Ram's "Letters for Lyrics" program. It's a simple enough idea: Write a supportive letter to the troops, (thank you for your service, come home soon, etc.) and in return you receive an exclusive compilation album featuring Southern Ground artists: Zac Brown Band, Sonia Leigh, Nic Cowan, Levi Lowrey. Sometimes even the most civically-minded people need a reminder to show our gratitude for the US troops and all their self-less work both overseas and closer to home. Ram's "Letters for Lyrics" program with a little help from the Grammy-award winning Zac Brown Band does just that. Even if the music isn't your style, we hope that supporting the troops is, so put your thankful pen to paper and turn your letter into a Dodge Ram dealership to receive the free Breaking Southern Ground album. We would love to hear back from you when you participate in the program! Check out this Dodge Charger/Fast Five commercial that proves that car chases ARE what makes movies better. The Dodge Charger will be featured in the fifth installment of the Fast and Furious franchise Fast Five, which cruises into theaters on April 29th. Also stop by http://www.dodge.com/en/fastfive/ for a closer look at the Dodge Charger and for a chance to win your own custom Fast Five Charger! We bet you've never seen a Volvo look like this! This time-lapse video features a 5 day period during which 10 street artists used the innovative Volvo S60 as their ultimate blank canvas.